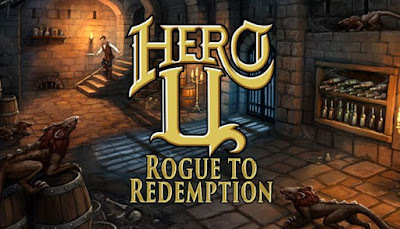 Hero-U: Rogue to Redemption is developed and published by Transolar Games. It was released in 10 Jul, 2018. After two successful Kickstarter campaigns and over five years of development, we are proud to present Hero-U: Rogue to Redemption. Created by the critically acclaimed game developers Lori Ann Cole and Corey Cole (Quest for Glory, Shannara, Castle of Dr. Brain, Mixed-Up Fairy Tales), the Hero-U series follows the role-playing adventures of top students at the Hero University. In Rogue to Redemption, Shawn O’Conner strives to become Rogue of the Year while exploring a mysterious castle, making friends and enemies, fighting deadly foes, and uncovering the secrets of his own hidden past. Meanwhile players will enjoy the rich and humorous dialogue and descriptions as they guide Shawn through his adventures.